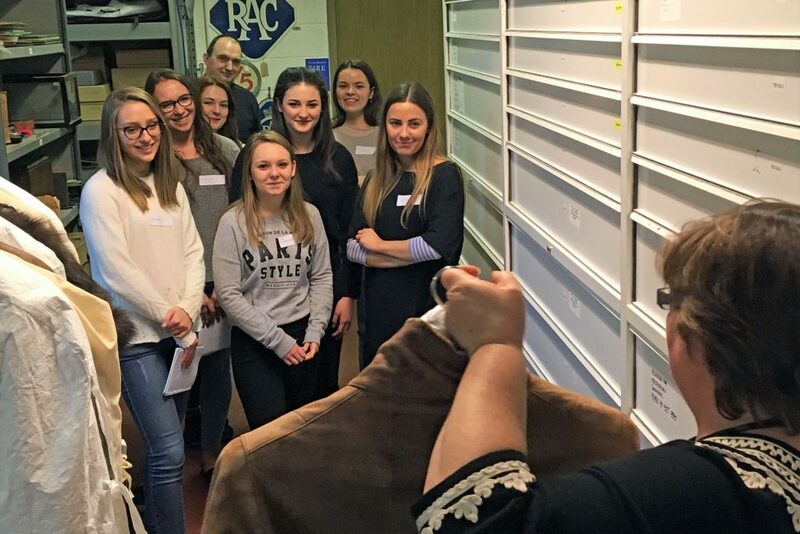 Over the past five months, six fellow University of Southampton students and I have undertaken a group project, in partnership with the National Motor Museum Trust, as part of our BA History degree. The aim of the project was to refine our research skills, broaden our historical knowledge, and develop key employability skills. The project, titled “The Drive for Change: The Motorcar as a Pathway to Women’s Freedom in England in the Early Twentieth-Century?”, explored the role of the motorcar in enhancing women’s opportunities in employment and leisure, and consequently how the motorcar aided the suffrage movement. On our first visit we were kindly given a tour of the Collections Centre by the National Motor Museum’s Research and Enquiries Officer and the Film and Video Curator. On this visit we learnt how to work with archive material and how to handle primary sources. From here we began our initial primary research, looking at magazines such as The Motor and The Car Illustrated and images in the Motoring Picture Library. We also confirmed that our assessed public outcome would be an online exhibition on the National Motor Museum Trust website to contribute towards their Vote 100 campaign. As our project progressed, we delved deeper into the archives, making discoveries from the importance of the motorcar in aiding the suffrage movement on national tours, to the development of women’s motoring fashion. From giving women the opportunity to take up ‘unladylike’ jobs, such as mechanics and motor-racing, to being able to venture out with friends. All of which portrayed women’s ever growing presence in a traditionally male dominated industry. Working with the National Motor Museum was an honour, and we are grateful for their help in our project. Before our project began, the topic of women and the motorcar was fairly unresearched. The primary material at the museum was vital in ensuring that our research progressed, and that our final essay and public outcome was of high-quality. Our university project is only the beginning of unearthing this vast topic, and we hope that it provides a stepping stone for further research. At the peak of the centenary year of women over 30 gaining the vote, this is the perfect opportunity to truly uncover how the motorcar aided women’s liberation, and its invaluable presence in the process.